DELUXE: Full size 35 inch handles can be used by players of all sizes. Handles are wrapped with comfort grip for superior control and convenience. 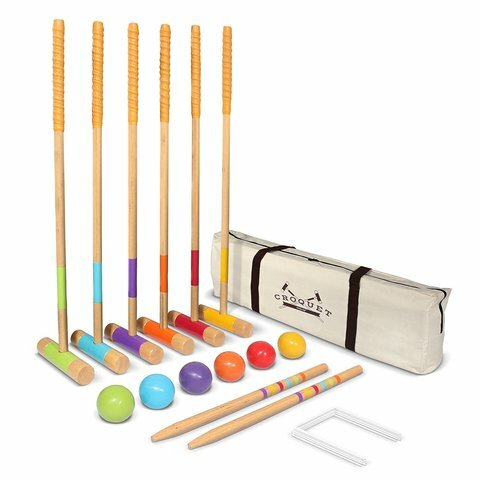 The croquet balls weigh 10oz each with a diameter of 3".